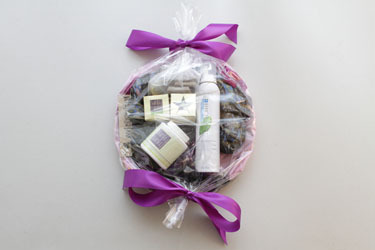 ‘Tis the season to give, and we want to give you a basket of fashion & beauty goodies with some of our favorite products! To enter to win, tell us what is at the top of your holiday wish list and why. Simply post your gift pick in the comments section below to enter for your chance to win! Need some inspiration? Check out our Editors’ Holiday Picks! I want some new dress clothes, as I am hoping my huband and I will be having more date nights. A spa day is top of my list! I am really really hoping for a cover for my Nook. I wish someone could come and figure out how to get my wireless printer to work with my new laptop computer!!! I really hope Santa brings me some fun & comfy new pj’s to longe in ! I really want a Hotcakes Design carved resin necklace! For christmas, I reallllllllly hope and wish that someone who I really like is able to fly here to Hawaii back home so that we can finally see each other after all of these years. I haven’t seen him since school days. That is my christmas wish and I want that for christmas. Ideally, I’d really like a chanel bag – realistically, a job would be awesome. I am hoping to receive some alkemie jewelry and a cool pair of winter boots! Plus, I have never tried HP before….interested to see what all the hype is about! I am hoping to get an a forever loop necklace with my kids names and birthdays. I’m asking Santa for a new coat. I would like to Win a Basket of Fashion & Beauty Goodies! What isn’t at the top of my list?? I’d actually really love a heated blanket…. kind of utilitarian but oh so useful! I’d definitely love to gift myself a mani / pedi! A lovely peaceful day with music and pampering and dimmed lights while sipping Prosecco. Besides peace on earth, I would like to get a Silk’n SensEpil Laser Hair Removal Device. The thought of never shaving my legs again makes my day. I am hoping for a camera so I can take pictures of my family! The thing I want most is to have my children home for Christmas…….and that’s going to happen this year! To see joy on my daughter’s face when she sees presents under the tree. She needs a laptop for school. I’m a single disabled, soon to be divorced, mom & have been struggling this year. I won’t be able to afford much. But no matter what, whether she gets presents or not, What is important is that she does know how much I love her. Would really like some new boots. I’m hoping for an engagement ring.